​​The Funnel is used wherever hazardous liquids must be caught or diverted quickly and in a secure manner. 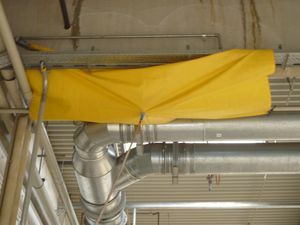 ​Additional protective measure during maintenance and service tasks on overhead pipes, etc. ​Very well suited for use in hardly accessible places. 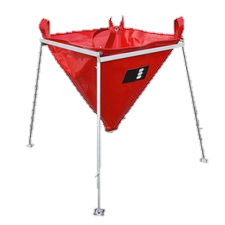 Thanks to its capability to be easily shaped, the Funnel adjusts well to the conditions on site and can be used both with and without the height-adjustable metal stand. 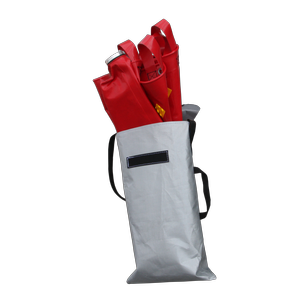 Using the separate bags, the Funnel and the metal stand can be taken to the site quickly and securely and space-savingly stored. 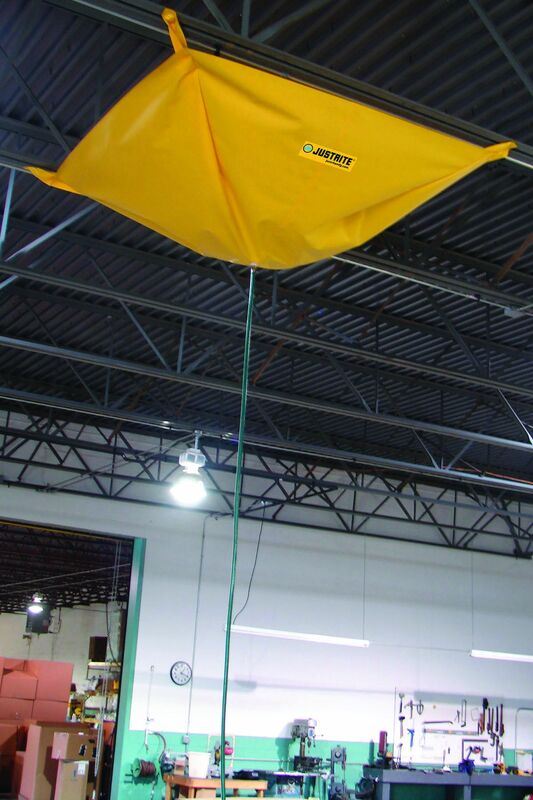 Application areas: In very hardly accessible places, such as pipe bursts or leaks in the ceiling, etc. Loops on the corners of the Funnel allow to fasten and to hang it. The Funnel is largely able to adapt to the geometry of the site. The height-adjustable metal stand offers flexibility of use. In the standard version, the Funnel is delivered with an aluminium firefighter coupling C 52 / 2. Brass or stainless steel couplings or tankwagon couplings are available as accessories. 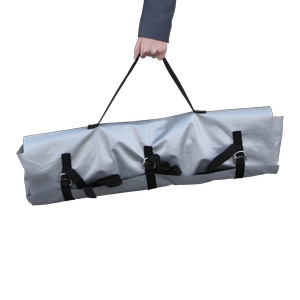 Once folded up, Funnel and stand are placed in separate, well manageable bags and so they can be easily carried along and space-savingly stored. 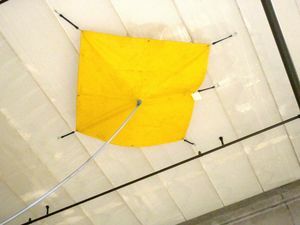 Material of the Funnel: PES, PVC surface. Resistant to a wide range of liquid chemicals, particularly to common operating fluids, such as heating oil, diesel, hydraulic oil, gasoline, etc. 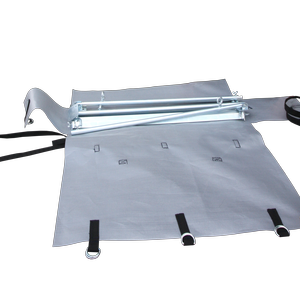 Stand is made from hot-dip galvanized steel.